Last November marked the 30th anniversary of the Vietnam Veterans Memorial. Since it ranks as one of the most popular sites on the National Mall with over 4 million visitors every year, it is easy to forget the outcry that accompanied the monument’s initial unveiling in 1982. 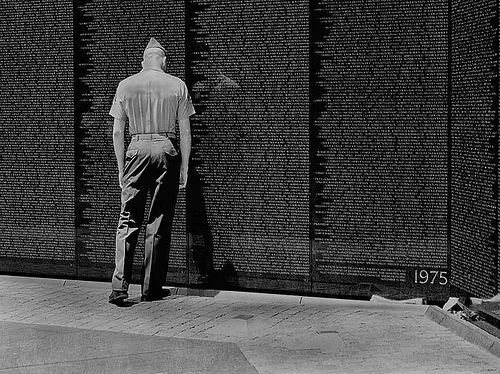 Critics called it a “black gash of shame and sorrow,” and “nihilistic.” Prominent supporters of a Vietnam memorial pulled out of the project when the design contest judges selected Maya Lin’s now-iconic black wall concept. But the two reflective granite slabs that bear the names of over 58,000 service personnel killed or missing in Vietnam now rate as one of the most beloved pieces of American architecture and serve as a kind of national shrine. The battle over the Vietnam memorial was more than aesthetic; it reflected a disagreement about how to interpret the war and how to communicate its meaning to current and future generations. It was a fight about national memory. For some veterans and their supporters, the black wall bespoke disaster and disgrace; it failed to recognize the heroism of individual human beings who fought valiantly and served honorably, even if the nation considered the war a loss. What might a future national monument to the Iraq war look like? This month marks 10 years since that conflict began on March 20, 2003. From a decade on, we can only begin to see how future historians and future generations will interpret the war and what questions they will ask. For now, Americans seem inclined to put it behind them. The contentious politics surrounding it are perhaps still too fresh. But much unfinished business remains in understanding the war and its implications. It hangs awkwardly in the background in discussions of U.S. foreign policy and strategy. What is the role of the United States in the world? How should it use its military? Under what circumstances should it intervene abroad? Iraq casts a long shadow on these questions. For the moment, few rank the war as a success, and many view it as little more than a disaster. Iraq remains beset by strife between its major ethnosectarian groups: majority Shiite Muslims, minority Sunni Muslims who ruled the country before the U.S. invasion, and ethnic Kurds. The Shiite-dominated Iraqi government appears more aligned with Iran’s interests than with America’s. U.S. hopes to build a strong ally in the Middle East remain, for now, unfulfilled. But history often plays out in unexpected ways. Despite the conflict in Southeast Asia, the U.S. still won the Cold War and, 40 years later, enjoys cordial political and economic relations with Vietnam. Future interpretations of Iraq will depend on what questions historians ask and when they ask them. The hundreds of thousands of Americans who served in Iraq, as well as the families who lost loved ones, will inevitably take representations of the war and any collective conclusions about it somewhat personally. I spent nearly two years in Iraq as a civilian, attempting to make some small contribution to its future and to my own country’s prospects for success. My husband served three tours there with the Army and was wounded twice during some of the most difficult fighting in Baghdad’s Sadr City. To this day neither of us can bear to watch movies about the Iraq war and find some of the early histories of the conflict painful reading. We remain hypersensitive to what we perceive as inaccuracies and apparent agendas of filmmakers and authors. My father-in-law, a Vietnam vet, could not sit through any films about his war either. Those representations simply did not jibe with how he remembered it and what he thought the conflict was about. First, why did policymakers in the Bush administration decide to invade Iraq? When we put aside conspiracy theories and judgments about the personal traits of the actors involved, we are left to grapple with the real questions of history: What were they thinking and why did they think it? In the 1990s, few people in the national security business doubted Saddam Hussein’s pursuit of weapons of mass destruction. Critics often forget that many foreign policy experts were surprised by the lack of WMD found in Iraq. The country had possessed and even used them in the past and had been notoriously intransigent with U.N. weapons inspectors. But how did invasion become the administration’s preferred option? Did they believe that Saddam Hussein might really be in cahoots with al-Qaida? Were key figures influenced by the rapidity with which the U.S. had toppled the Taliban in Afghanistan just over a year before? How might their views have been colored by the overwhelming success of the U.S. operation against Iraq in Desert Storm in 1991 and their perception of American military prowess? Some members of the administration had wanted to get rid of Saddam Hussein for years. To what extent does the war represent a bit of cynical opportunism in the wake of the Sept. 11, 2001, attacks? The second question concerns how the U.S. planned and conducted the invasion and its management — or lack thereof — of the post-war occupation. The small invasion force experienced little trouble in defeating Iraq’s military but was too modestly sized to occupy and stabilize the country. One possible explanation for the administration’s failure to plan for an occupation is that it never intended to establish one. Perhaps instead policymakers planned to remove Saddam and his cronies, quickly assemble a new Iraqi government, and withdraw U.S. military forces. This small, light, and fast approach had worked (seemingly, at the time) in Afghanistan just 18 months before. Whatever the merits of this theory of regime change, however, we are left to explain the change to an occupation when Ambassador L. Paul Bremer arrived in Baghdad in late April, 2003. Bremer and other members of the administration offer conflicting accounts of this apparent shift. Moreover, if the administration planned for a small American “shock and awe” force to quickly topple Saddam’s regime and depart, how did it intend to secure the WMDs they believed existed? Other controversies surrounding the handling of the U.S. occupation abound and form a rich vein for future research and discussion. But at least one issue bears particular mention. Most observers presume that the dismissal of the Iraqi Army in the early days of the occupation ranks as a grave error. This move, the argument suggests, antagonized a group of people with military training, which then turned on the U.S. and formed an “insurgency.” But this conclusion, while plausible, lacks the weight of historical evidence. If many or most of the “insurgents” attacking the U.S. and its allied coalition were former Iraqi soldiers angry at their dismissal (versus, say, being driven from power, which is a different cause), data that would validate this proposition is not available or has not been made public. The truth is that the U.S. faced a farrago of different groups during the course of the war, with different agendas, support networks, ethnosectarian compositions and ideologies. We arguably never fully understood the composition, intentions, and purposes behind the multifarious organizations and individuals arrayed against us. Moreover, the Iraqi Army was a fractured institution. Many of the senior officers were Sunnis while Shiites and Kurds made up most of the conscripts. Would those latter two groups, newly liberated from Saddam’s yoke, have tolerated the maintenance of the dictator’s army? 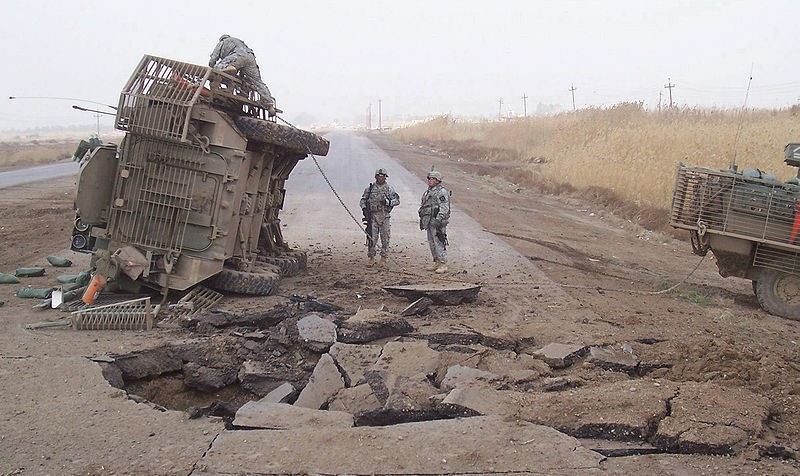 The third issue that will occupy historians is gaining a true understanding of the effect of the so-called surge of U.S. troops, which began in early 2007. Many observers have claimed that the infusion of forces and their application of counterinsurgency techniques turned the tide and led to an eventual decline in violence in Iraq. But there exist troubling questions about the causal connection between the surge and the reduction of violence, and multiple explanations might account for why the situation changed. Some Sunni groups took the political decision to stop fighting. Sectarian violence may have largely burned itself out. The political signal of the surge — as opposed to its specific form and content — may have convinced Iraqi leaders to accept at least temporary accommodations with each other and with the U.S. At this point, it remains unclear which combination of factors fully explains what happened on the ground. The fourth and final question concerns the timing and circumstances of the U.S. military’s departure from Iraq. In 2008, the Bush administration signed an agreement with the Iraqi government that U.S. forces would depart the country at the end of 2011. But throughout that year, analysts and former members of the Bush administration suggested that this agreement had been intended as a temporary expedient and urged the Obama administration to negotiate a new agreement to provide for U.S. forces in Iraq into the future. The Obama administration made some efforts in this direction, but the Iraqi government refused the offer. 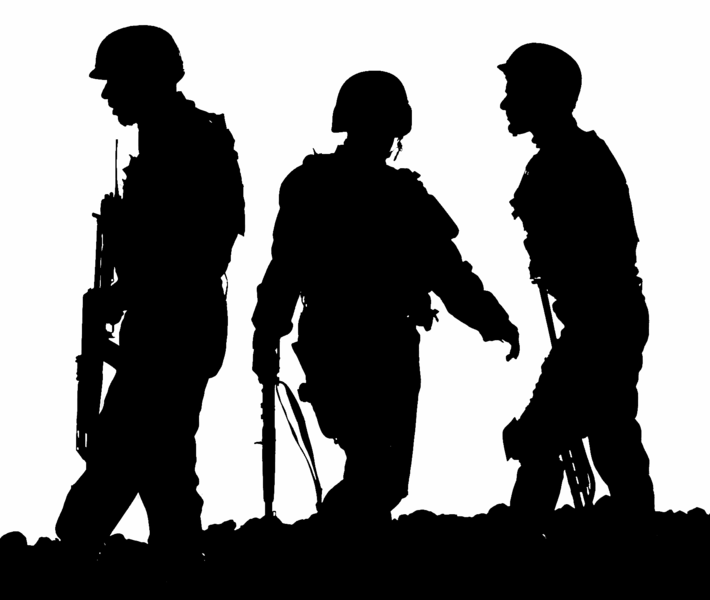 U.S. military forces departed the country in December of 2011, thus bringing an unambiguous end to the war. Advocates of remaining in Iraq now argue that if at least some U.S. troops had stayed, the U.S. would enjoy an influence that it now lacks. Future historians will confront a welter of other questions that have yet to be explored. For example, much of the discussion about the war so far concerns actions that America and its allies took and the presumed effect of these actions. But we do not fully understand the other sides of the story. How did the various Iraqi factions view the situation over time, and what steps did they take to advance their own interests? How did they leverage their position with the U.S., and how did they view American actions and intentions? Just how extensively did regional states interfere in Iraq throughout the course of the war? Beyond these “high policy” questions, we have as yet little understanding of how ordinary Iraqis experienced the war and the ways our decisions affected those millions of people. These and other unresolved questions will prevent any real consensus from emerging over the meaning of the Iraq war anytime soon. Consensus, in fact, may be too much to hope for, since many of the chief controversies of the Vietnam War persist after more than 40 years. Like that conflict, Iraq may continue to lurk in the background of our thoughts about future military interventions and the uses of American power. This raises the question why, despite ongoing disagreement about the meaning of Vietnam, Americans have come to so fully embrace the memorial. Perhaps the ultimate genius of its design is that it does not require everyone to agree about the war. A memorial may not provide closure or answer any questions, but it can offer us a way to honor those who suffered and sacrificed. That may be the most important thing we can do. A visitor seeing her own reflection mingled with the names on the black granite connects her to the human beings who bore the cost of the conflict, whatever she thinks of how and why it occurred, or the strategic payoff to the country. 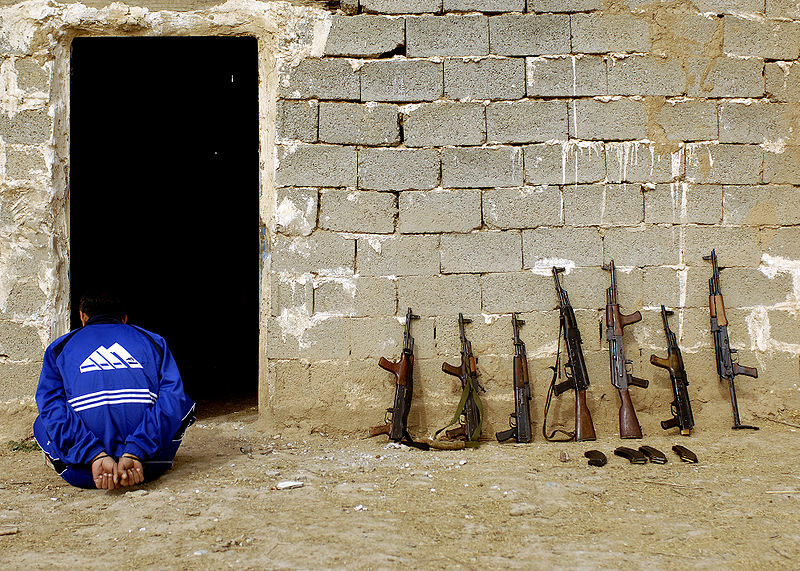 In Iraq, hundreds of thousands of the country’s citizens were killed, wounded or displaced. Over 4,000 American souls were lost, and tens of thousands returned without limbs, sight or hearing, or with seared skin, splintered bones, and shattered psyches. They still walk among us and bear witness to the decisions political leaders made a decade ago. It is difficult to say today whether their sacrifice was worth the benefit to the country. Judgments on this will shift with the passage of time and events. But their names and their lives provide a reflection of our nation and of its purpose in the world. May any future monument to the Iraq war allow us to see those who were lost and maimed, honor them, and in the process, better see ourselves. This article originally appeared in the Austin American-Statesman. You can follow the link here.